First an incident in Lincolnshire which involved a double-deck bus, the image and report courtesy of the Peterborough Times. 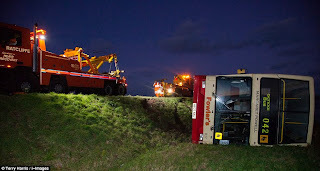 Emergency services were called to the vehicle off B1166 shortly after 3pm. 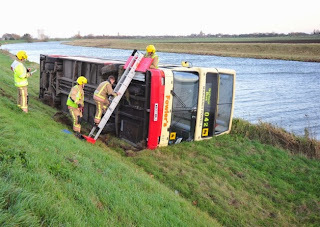 The bus from Holbeach Drove-based firm Fowler’s Travel was on the road heading to The Deepings School, Deeping St James, when the incident happened at about 2pm. 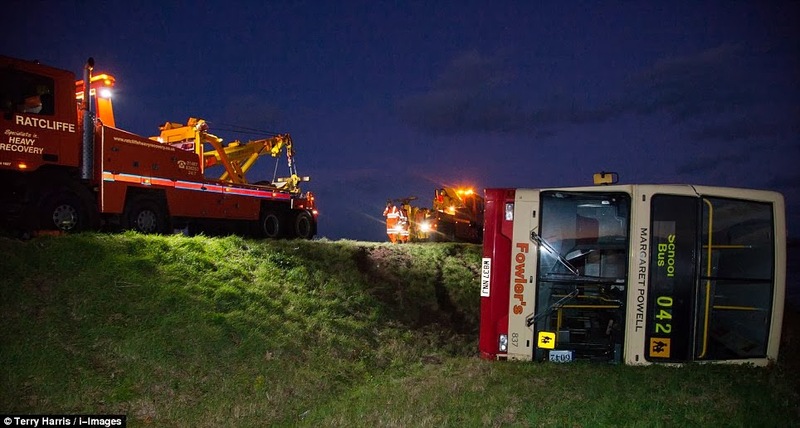 No passengers were on board the bus which ended up on its side and the owner of Fowler’s Travel, Andrew Fowler, confirmed that the driver was unhurt. 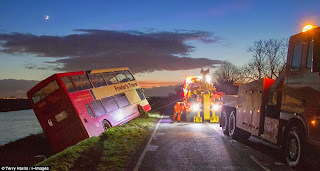 He said: “We had a double decker bus go off the road which was travelling to collect some children from school. 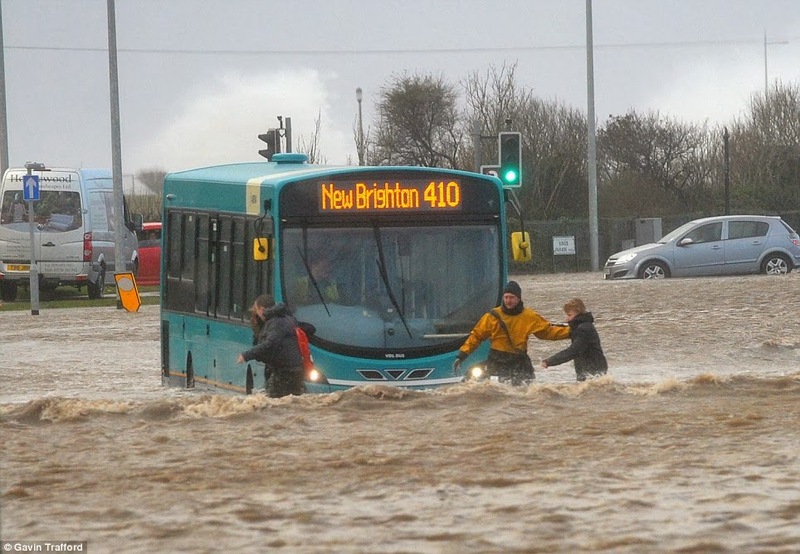 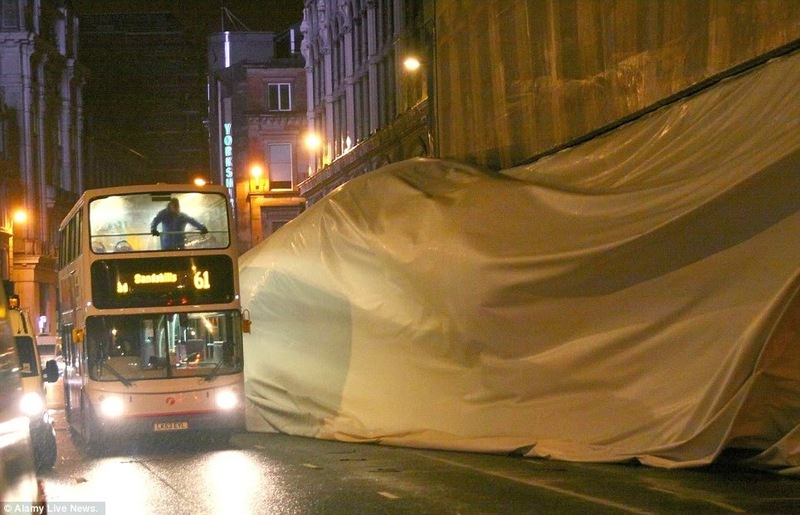 “The bus was empty at the time and the driver involved has nearly 40 years’ experience of driving buses.